Sculpture by Gary Stevenson creates realistic wildlife sculptures with painstaking attention to detail. In his sculpting, founder and artist Gary Stevenson aims to capture the unique appearance and essence of some of nature’s most recognizable creatures, all based on the animals he found in the woods of his home state of Texas and his current home in Virginia Beach. Gary Stevenson first sculpts each animal out of delicate porcelain to really understand its form, then he replicates the result in wood resin. He then hand paints each piece to reflect the fur, feathers, scales or other textures each animal has, resulting in a truly realistic effect that he aims to make as close as possible to the real thing. 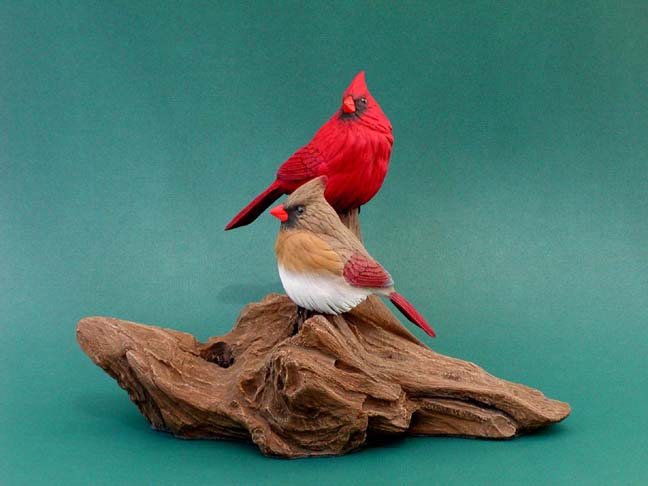 Sculpture by Gary Stevenson creates everything from wood resin sculptures of birds, animals and fish to wildlife lamps, candle holders and jewelry. For the animal lover and art collector, a piece by Sculpture by Gary Stevenson is a true treasure.